Charlotte is returning home to the small Wyoming town to the house she shared with her aunt since childhood. Her aunt is now in a home, because she has a little dementia. Residing in the house is the warm, rather mysterious Mrs Klozz. (say her name out loud and you’ll get the idea). A little Disney, but kinda sweet. She certainly has the Christmas spirit and is not about doing a little organising so that Charlotte is put in the path of Jax. She and Jax had been an item, but had parted company over a year ago. Now he too has come to the small town to help Nate in his vet practice. Mrs K sees to it that he is right in the action and right in the path of Charlotte. Want to get into the Christmas spirit – this is an ideal book to put you into the scents and warmth and goodwill of this season. Mrs Klozz is a magical mystery, and she certainly adds to the spirit of Christmas. 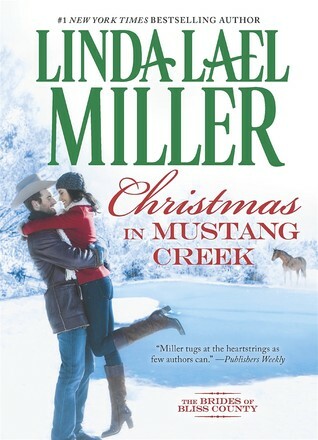 I also enjoyed this one – it was fun to revisit Mustang Creek.